Apricots have been in full swing here in Kamloops. So the girls and I loaded up on our bikes and headed off to a local tree on the side of the road to pick some sweet juicy apricots. We had a lot of giggles as we climbed the tree to get the ripest ones at the top. Of course with every oatmeal deserves a sprinkle of cinnamon to give it that magic fairy dusting as my girls would say. Apricots are an excellent source of vitamin A (in the form of provitamin A carotenoids). Vitamin A is great for our immune systems, bone health, and for our eye health. A good source of vitamin C, copper, dietary fiber and potassium. We all know that vitamin C is great for colds and to help boost our immune system. Fiber is beneficial for our gut health. Apricots contain phytochemicals called carotenoids, compounds that give red, orange and yellow colors to fruits and vegetables. These carotenoids are amazing antioxidants that help combat cellular damage. 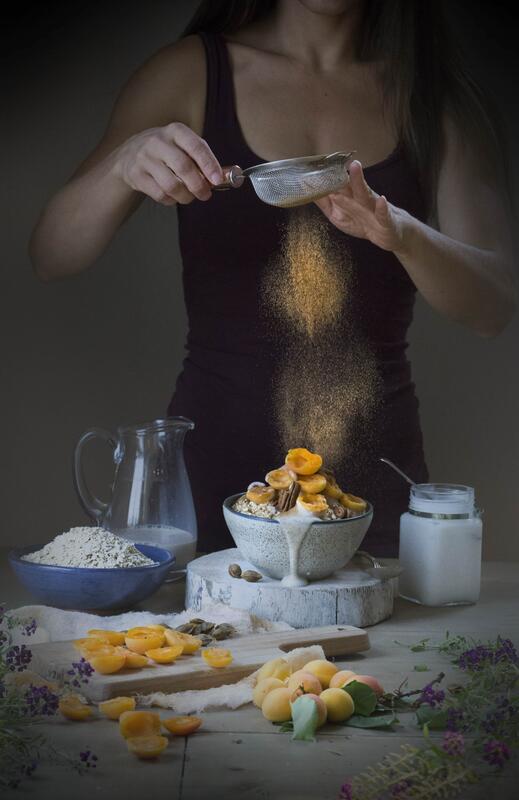 Enjoy this delicious magic nutritious oatmeal in the morning. And when you sprinkle that cinnamon on top remember that it is adding a little love nourishment all over your oatmeal. 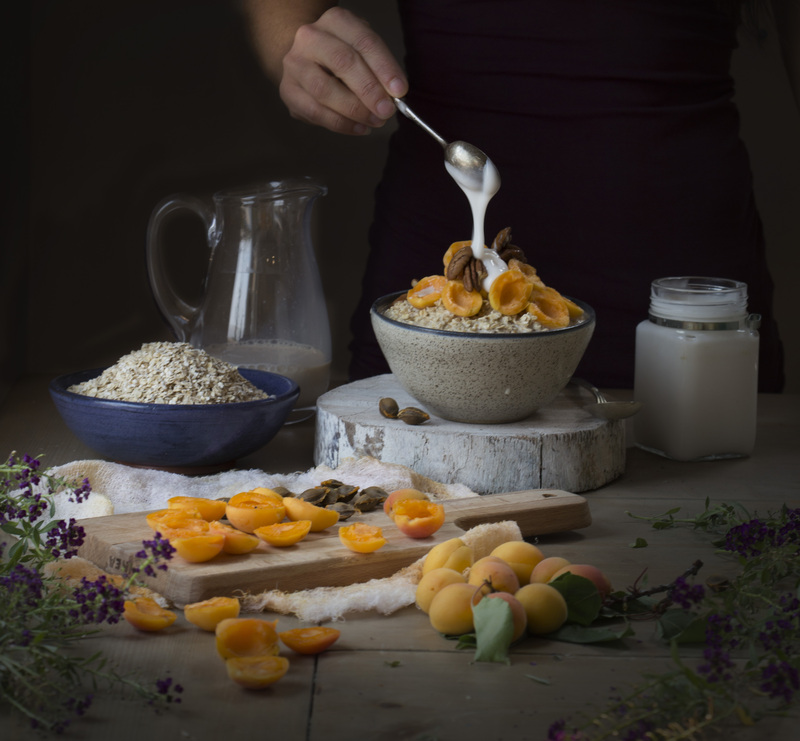 Put oats, apricots, stevia, cinnamon, vanilla, and water into a saucepan and bring to boil. Simmer for 3 minutes on low heat with the lid on. Take off heat and let sit for 2 minutes. 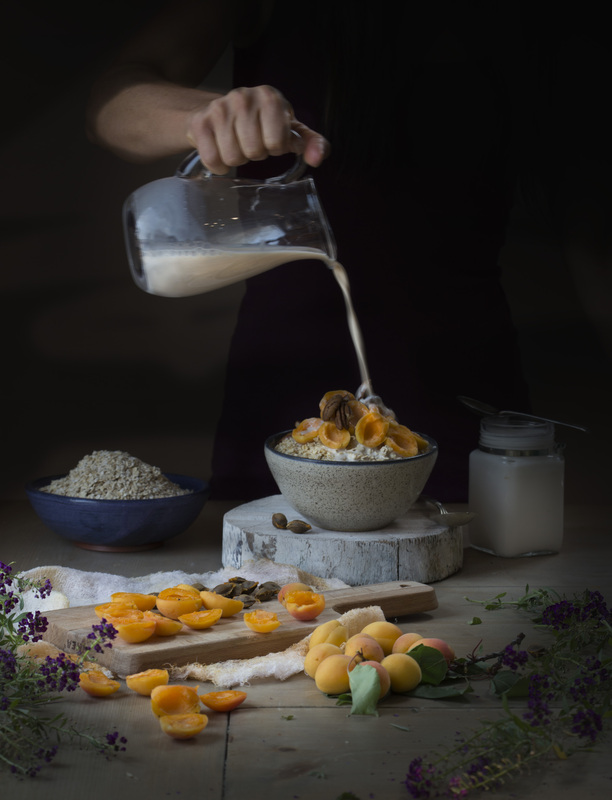 Scoop into bowl and top with almond milk, fresh apricots, walnuts, and a dollop of yogurt.